If like me, you don't always have the time to do the full cleanse, tone, moisturise steps of a skin care routine every morning and night, or sometimes you just really can't be arsed, then this may be something to try. 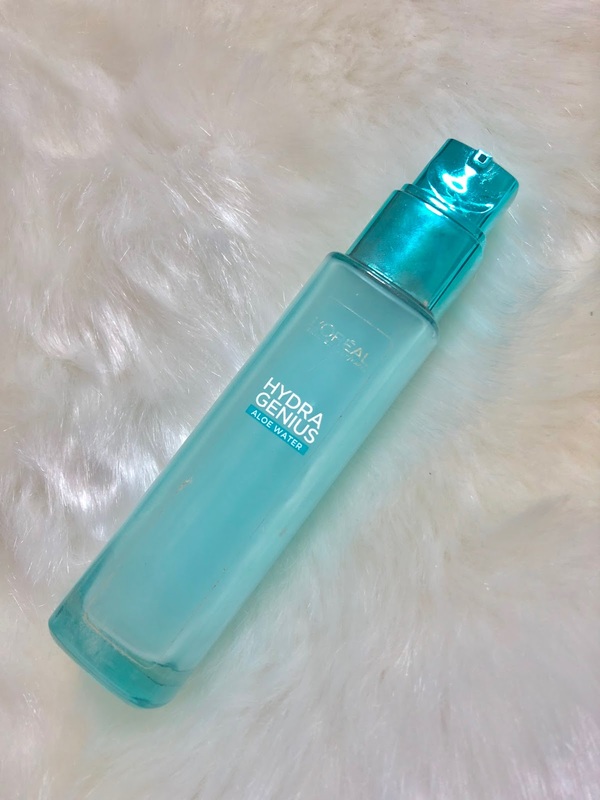 The L'Oréal Hydra Genius moisturiser has definitely helped me in terms of more healthy looking skin and literally takes me 30 seconds to apply. The concept of this moisturiser is 'fresh as water, hydrating as cream' which basically sums up how it feels when patted into the skin. It's enriched with Hyaluronic acid and Aloe Water which are both great for keeping skin looking fresh and youthful. And let's face it, unless you're 19 and napping after Uni whenever you feel like it (the old me) who doesn't wanna look younger and more awake?! 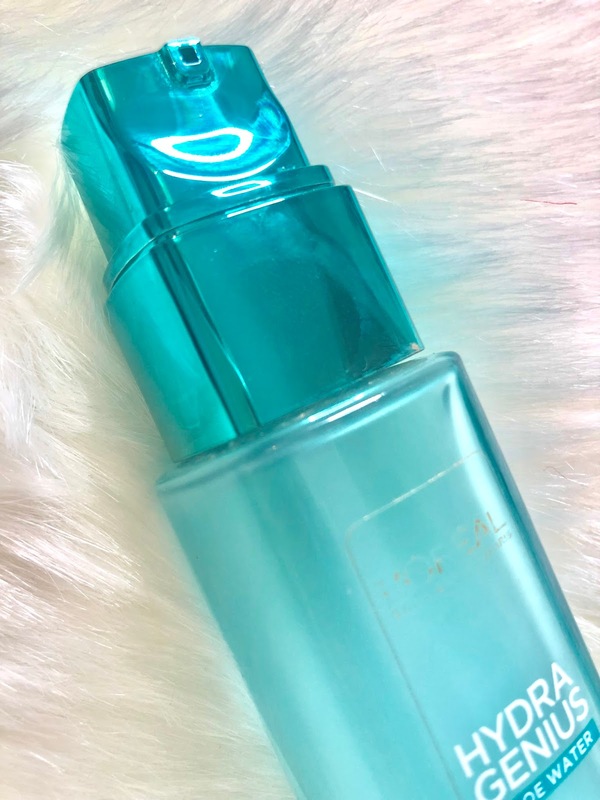 Hydra Genius claims to lock moisture into the skin for 72 hours, so used on a regular basis means your skin is kept fresh and glowy all the time. I only use 2/3 pumps (one on each cheek and one on my forehead) and massage it upwards gently into the skin. It works best on normal to dry skin so I don't put much on my T-Zone because this is where I'm most oily. Side note - I spoke to a skin expert a few years back who told me when applying any cream or serum to the face, it should always be done in an upward motion to encourage the skins cells to stay active and youthful, as dragging downwards on your skin everyday can lead to it ageing a lot quicker. It dries almost instantly and just leaves the skin feeling rejuvenated and full of moisture. So if after a long day you've taken your makeup off but can't be bothered to stand at the sink for ten minutes, this definitely cheats the skin into feeling pampered. 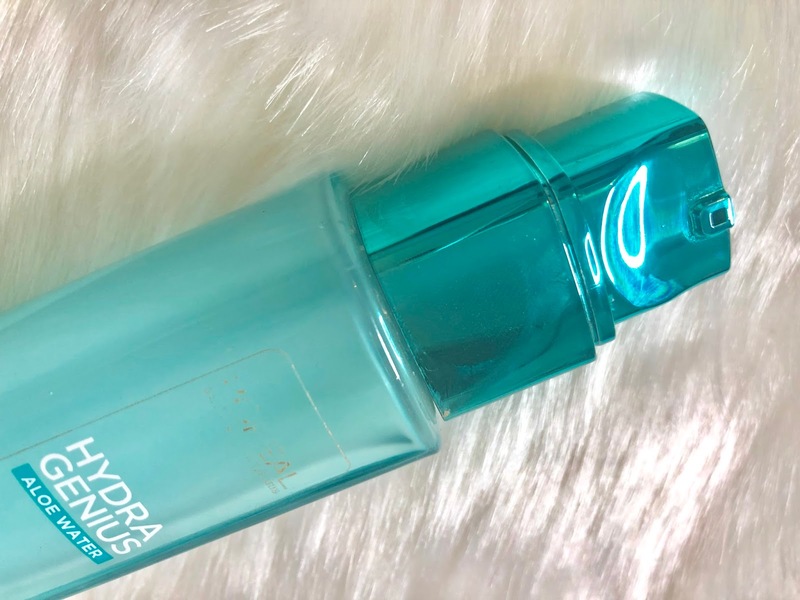 Hydra Genius is on offer at the minute for about £7 and seems to be lasting me forever so definitely worth it if your skin is in need of a boost. I use this morning and night whether I'm doing a full cleanse or not, especially in these colder months when my skin is feeling more dry. I've also used Hydra Genius instead of primer as my base and it's left a nice glow through my foundation. I've been using this since around November (hence the condition of it ha) and it's my fave now and is so easy to just grab quickly in the morning when Rosie is trying to dive face first into my makeup bag! Let me know if you've tried this or anything else that helps to fake a good nights sleep ha!